This may turn out to be the biggest Action Figure news story of the year if it turns out to be true. The folks over MTV Geek have kicked up the rumor cloud surrounding Disney and it’s recent use of purchasing power. This time Hasbro itself is in the crosshairs! MTV Geek | Headlines – RUMOR: Disney Buying Hasbro? OK folks, take this one with a grain of plastic for the time being. Unless you�ve been under a rock, you�ve heard that Disney acquired Lucasfilm for roughly $4 billion last week and Marvel for around the same price a few years prior. Well, we have it on good authority that serious discussions are happening at the highest levels of both Disney and Hasbro to fold the largest toy and game company on the planet into the Mouse. From what we�re told, these are still just discussions at this point, but serious enough that something could be announced at any time and create ripples throughout the entertainment industry. " 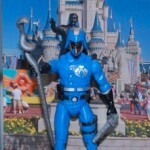 MTV Geek | Headlines - RUMOR: Disney Buying Hasbro? bold move if true. disney would own entire toy aisles since they already own 2 of hasbro's biggest licenses. Come on! First marvel, then lucasarts, and now hasbro?! Hulk smash!! Not happy if this does happen. Being an MU fan, I kind of hope this happens. It'll streamline/consolidate the 3.75" line (Joe, SW, MU) and would probably mean the continuation of MU. Just my two cents. talk about a mega corporation. Didn't Microsoft get a legal smackdown for this exact sort of thing a decade back? Buying up a monopoly? Don't forget, Disney already contracts Mattel to do more than half their toylines. Cars, Princesses, Fairies, Toy Story. Plus Legos in the form of Pirates and Toystory. If Disney buys Hasbro and continues that, they're going to have quite a bit of the toy market. If it happens, it happens. I can't imagine it realy effecting toy lines like Marvel or Star Wars. Transformers and GI Joe, maybe. But maybe those lines need a little change up anyway. TF Prime has become a joke, and as far as what I've heard the Joes apparently aren't doing much better. 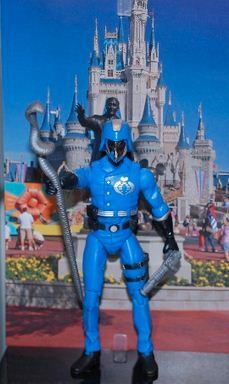 Might effect them in that without having to pay for the license they could include more accessories like the Joes get. The mouse house already owns a lot of things that are important to me. Why not take Hasbro, too? Disney is taking over the world!! I don't even know what to make of this one. If the deal went through, Disney would be putting out Transformers. I'd be very curious to know what would happen to the Hub as well. Only time will tell. The Hub is something I've been giving a lot of thought about, since this news tonight. Transformers honestly could only improve. Prime is as bland as it gets, and the movies would only benefit if taken away from Michael Bay. And Disney's done okay by Marvel in terms of movies. But the Hub and Disney XD fill the same niche... only the Hub does a lot better at it, and has a wider appeal, and a wider audiance than DisneyXD. Little kids, big kids, girls, boys, geeky adults like us. Hub also has smarter schedualing decisions, It's one of the most reliable cable networks out there, in terms of frinding stuff day to day, week to week. Not to mention, the Hub is part of the Discovery Channel Network. I'd like to think if Disney is smart, they'll leave it alone. Or put the hub execs in charge of DXD. ...does this mean IDW will lose the transformers lisence, and Marvel will be publishing TF again? Not sure how I feel about that. On one hand, IDW turned it into a trainwreck when they decided Shane McCarthy is better than Simon Furman... but on the other hand, Marvel is Marvel, and can't do anything without making it a trainwreck. But on the *other* hand, Circuit Breaker will return. ....does this mean Disney will revoke the lisence from Fun Publishings, and we'll get a REAL Transformers fanclub out of this, instead of the monumental 8 year joke we've been told is a TF Club? ...does this mean people will finally end the lame "hasblows!" gags? Sounds fine to me. If its awful it means that I wont want to buy another Transformer or GI JOE. To be honest ever since 2009 Hasbro has really sucked donkey balls. I am really happy with what has come out thus far and not to say my cups runs over but I wouldn't mind to continue to not buy Transformers of GI JOEs still. perhaps now we may get some other then pathetic distribution,perhaps. This is not a monopoly. If Disney bought up every toy manufacturer. That would be a monopoly because they would have the toy market cornered restricting economic competition. So in many ways, all the recent purchases do is return Disney to what it once was - undisputed King of the 'family' market. This could be the only thing that saves both Transformers and GI Joe from utter crap. Neither series has done really anything worthwhile in a long time. Well, that isn't completely true, as the 30th figures that were coming out were excellent, but then Hasbro decided to can them for a non-existent movie line, making it one of the worst decisions ever when dealing with the Joe universe. As such, I no longer have a desire to really own anything Joe related and I hope this movie bombs so badly that they have no choice but to sell to Disney. I don't like this. Disney is getting way too much influence over stuff I really like. I can't say for sure if this is a good thing or not, but I just have a really bad feeling about this if it's true. The irritating thing about disney is... they only care about profit. As a whole, they don't gove a damn about quality, and only want to increase that bottom line. However, and this is why it's so irritating... is Disney is soooo very good at hiring people that actually do give a damn about quality, and are very very good at their jobs (Joe Quesada and Loeb aside). But I'm thinking of Brad Byrd, Glenn Keanne, and all those wonderful people behind Pixar's and Disney's greatest movies and shows. I think that's why disney always leaves you feeling so dirty. It robs you. It takes your childhood. It takes your money. But it makes you want it. As badly as you want to trash Disney... you can't deny how wonderful Lion King, Little Mermaid, Lilo & Stitch, The Incredibles, Wall*E, and Brave are... as well as their others. Most of their movies are at least enjoyable, if not some of the greatest movies of all time. I know I need to see Wreck-It Ralph. Here's more money I don't have that Disney is getting.